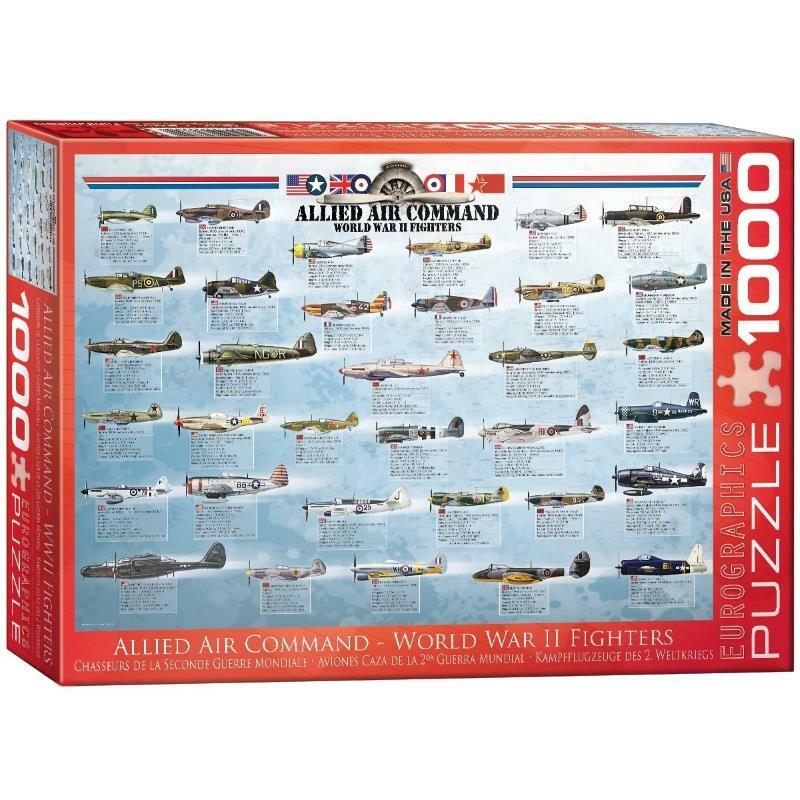 Puzzles 20180 https://www.warplane.com/images/Products/20180.jpg World War II Fighters of the Allied Air Forces. 1000 piece jigsaw puzzle. High quality, full colour puzzle. Printed in Canada, made in the USA. 100% recyclable, environmentally friendly and safe, printed using vegetable-based inks. Description: World War II Fighters of the Allied Air Forces. 1000 piece jigsaw puzzle. High quality, full colour puzzle. Printed in Canada, made in the USA. 100% recyclable, environmentally friendly and safe, printed using vegetable-based inks.